On an italian forum I found another colour variation of the G2000. After a long search I got hold of the photoshopped picture and can show it here. Angel Trains Cargo has ordered 19 diesel locomotives type G2000 at Vossloh. The order has a value of 48 Millions of Euros and will secure the jobs of the 475 employees of Vossloh for this year. 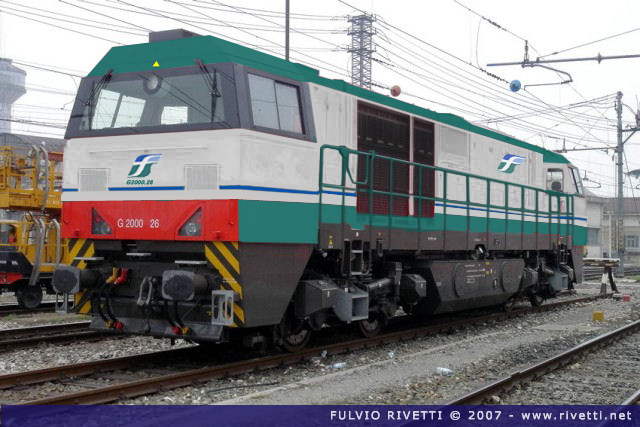 The first locomotives will be deliverd this month and the order will be completed by the end of the year. 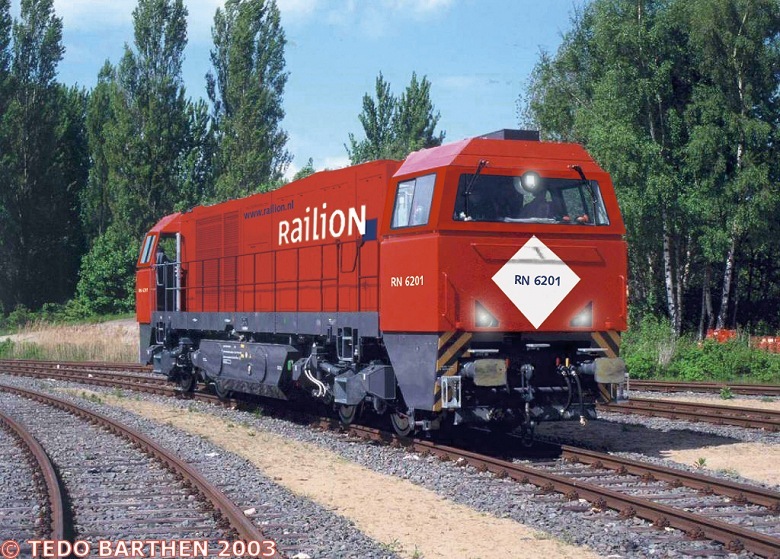 In 2006 Vossloh produced 45 new locomotives, in 2007 this figure will be 64. 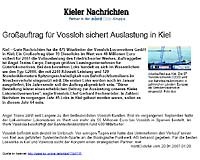 Click on the image to open the original press release from the Kieler Nachrichten (PDF document) or click here to go to the article on their site. 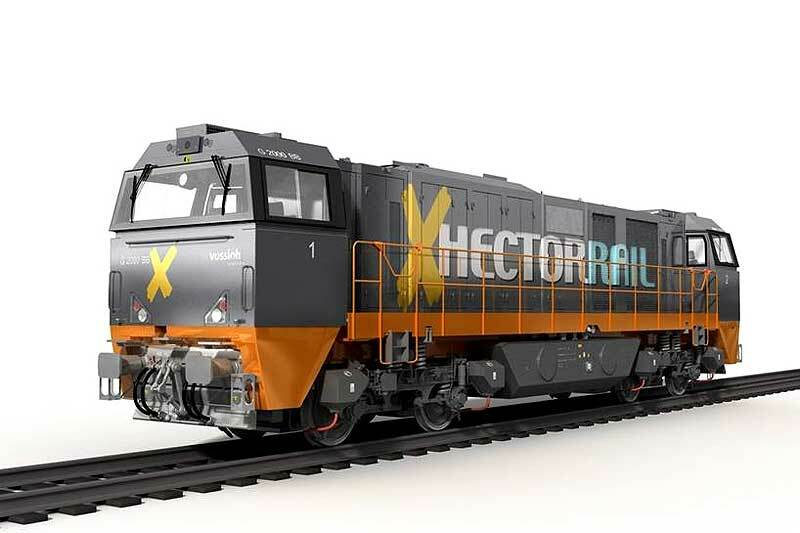 Hector Rail has signed a purchase contract with Vossloh Locomotives for one of their class G2000-5 BB locomotives. The loco has an installed power of 2700 kW (apr. 3500 hp). This is more than twice the installed power of the Swedish standard diesel loco T44 with 1235 kW. 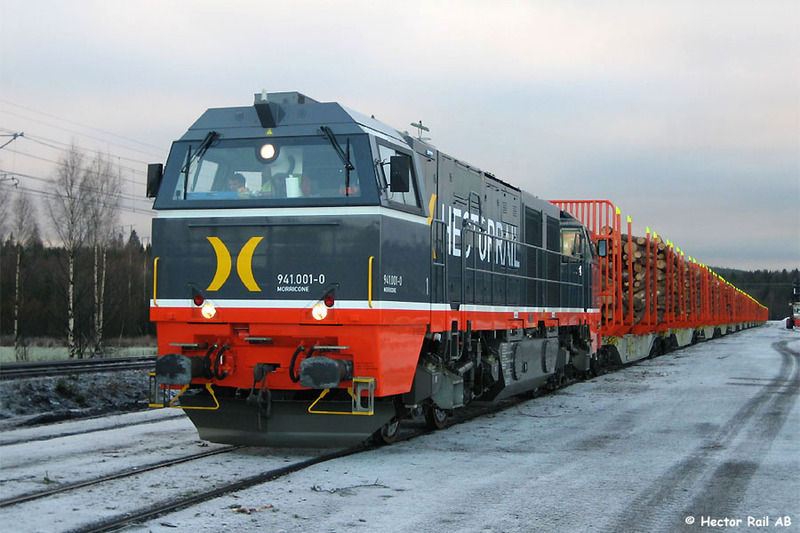 From beginning of 2007 the loco will operate on the non electrified line Hoting – Forsmo in mid Sweden hauling timber trains for the Swedish forest company SCA. This will be a major benefit for the environment, since the new loco has considerably reduced emissions and noise compared to today’s locomotives on the line. The locomotive fulfils the exhaust emissions demands according to UIC 624 level II, which currently are the most demanding requirements for locomotives. According to the current plans the locomotive will only operate in mid-Sweden. However the locomotive is homologated in Denmark and Germany as well. Hector Rail is the only private operator with such a locomotive. The locomotive will be delivered in mid October and classified within Hector Rail as class 941. The right picture shows a cabview of R4C 2002. 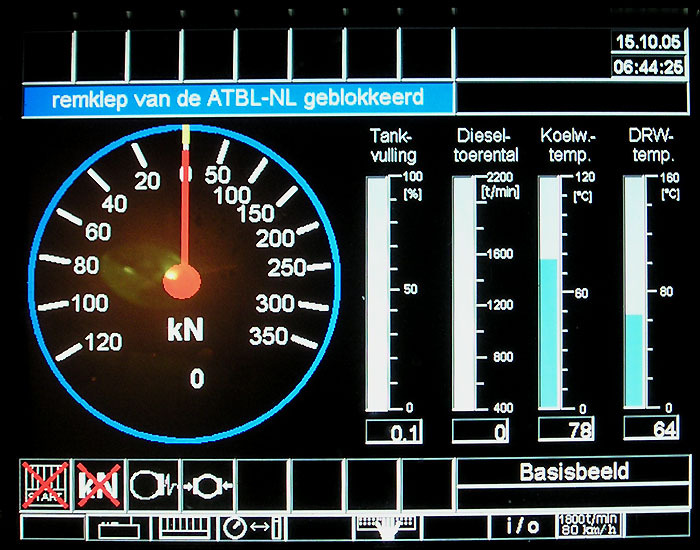 The far right picture shows the screen of the on board computer of the R4C 2003 with an almost empty fuel tank. Pictures (C) by Ruud Mayer. How would a MaK 2000 look like in a dutch Railion outfit? In December 2003 Tedo Barthen made a design studie based upon the ACT G2000 01. 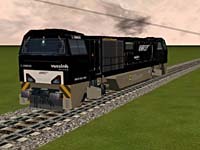 For the Microsoft Train Simulator there are several G2000 available. You can download them from several websites. I just show some examples here.